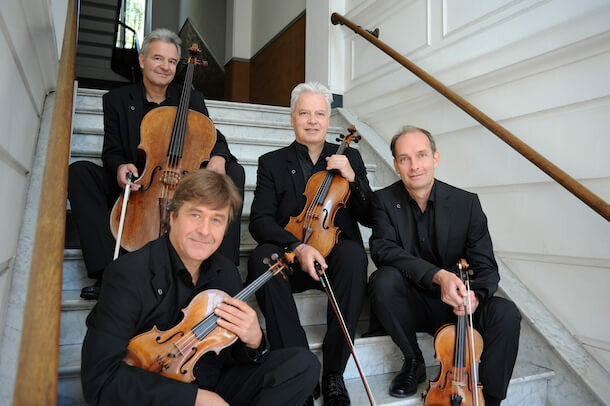 November 12, 2019 8:00pm The Vancouver Playhouse, 600 Hamilton St.
For over thirty years, the Auryn Quartet has retained its original members while continuing to offer a fresh and innovative approach to the genre. The group’s recordings of Haydn’s sixty-eight quartets are considered amongst the finest available. The Auryn will perform Beethoven’s monumental Opus 130 late quartet with the original finale, along with works by Shostakovich and Schnittke.